Early settlers to Royal Oak were farmers who cleared land to build their homes and plant crops, as agriculture was the primary occupation of the time. The advent of the railroad soon brought about logging, milling and other industries. Many early settlers to the area migrated from New York, including Orson Starr, the township’s first manufacturer. He became well known for making cowbells. In 1845, he built his wooden frame home incorporating many characteristics of Greek Revival, an architectural style that was popular at the time. The home still stands at its original site on Main Street, reminiscent of the days when Royal Oak was a remote township. The Orson Starr House (3123 N Main Street) is currently listed in Michigan’s State Register of Historic Sites and has been designated an historic district. The Orson Starr House Historic District has also received the official project designation of “Save America’s Treasures,” awarded by the National Trust for Historic Preservation. In 1819, Michigan Governor Lewis Cass and several companions set out on an exploration of Michigan territory to disprove land surveyors’ claims that the territory was swampy and uninhabitable. The beginning of their journey seemed to support those claims until they reached a desirable area of higher ground near the intersections of Main, Rochester and Crooks Roads. Here they encountered a stately oak tree with a trunk considerably wider than most other oaks. Its large branches reminded Cass of the legend of the royal oak tree, under which King Charles II of England took sanctuary from enemy forces in 1660. Cass and his companions christened the tree, the “Royal Oak.” And so Royal Oak received its name. As early as 1891, when Royal Oak was a small village, there were only a few hundred residents. In the 10 year span from 1900 to 1910 the population grew to over 1,000. By the time Royal Oak was incorporated as a city in 1921, the population had exploded to over 6,000. This was due in large part to new jobs created by the booming auto industry. The development of the super highway, Woodward Avenue, led to greater population expansion. Woodward Avenue replaced the old Indian road, Saginaw Trail, as the connection between Detroit, Pontiac, Flint and Saginaw, making Royal Oak more accessible. Today, the 28 mile Woodward Avenue (M-1), bridging 10 communities from the Detroit River north to downtown Pontiac, holds the honorary designation of Michigan Heritage Route. The designation was awarded because of the historical and cultural significance of some 350 sites along Woodward Avenue, including 42 historic churches. Completion of 1-696 on the southern border of Royal Oak in 1989, positioned the city centrally within Southeast Michigan. Merchants and city government began pumping new life into the city’s downtown. Royal Oak developed as a suburb of Detroit in the early 20th century, following Detroit’s booming growth as a result of industrialization and its auto industry. The Royal Oak Farmers Market opened as a truck market, at the corner of 4th and Troy streets, on October 14, 1925 as a cooperative venture between the then-new City of Royal Oak and Oakland County, Michigan. There were still numerous farmers in the county. The present structure, at the corner of 11 Mile Road and Troy Street, is adjacent to the 44th District Court. It was erected in the spring of 1927 and dedicated July 1 of that year. In the 1920s, Father Charles Coughlin, a Canadian Catholic priest who relocated to Detroit, became the founding pastor of the Shrine of the Little Flower, now a prominent landmark in the city. Through his ministry, he raised funds to build the present limestone church complex and tower. Initially he broadcast religious speeches from this site. During the 1930s, his broadcasts became more political. He initially supported President Franklin D. Roosevelt, then opposed him and promoted the causes of the fascist leaders of Germany and Italy. The Roosevelt administration closed down his radio operation after the outbreak of World War II, with support from the Catholic hierarchy. Coughlin had developed national political influence and had an increasingly anti-semitic message, at a time when Jewish people were being severely persecuted in Germany. 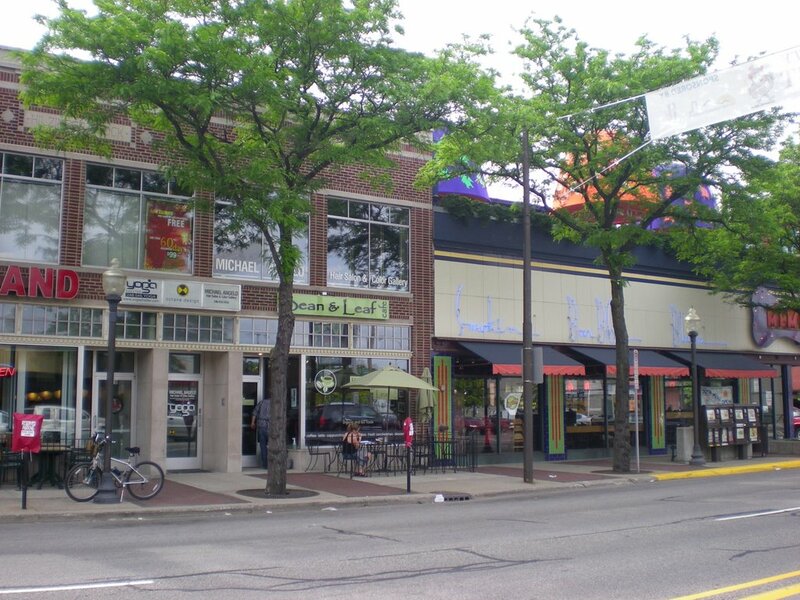 The downtown originally had a typical mixture of small-scale retail and trade to serve the city of Royal Oak. With the development of the highway system in the postwar period, it lost business to suburban malls. 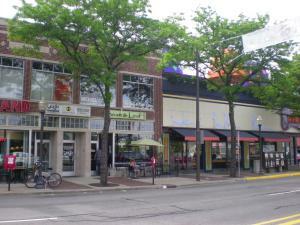 Since the late 1990s and early 2000s, however, Royal Oak’s downtown has developed as an entertainment and nightlife destination. A number of large condominiums and lofts have been built in the area, increasing the density of the downtown population. As of the census of 2000, there were 60,062 people, 28,880 households, and 14,440 families residing in the city. The population density was 5,083.0 people per square mile (1,961.9/km²). There were 29,942 housing units at an average density of 2,534.0 per square mile (978.1/km²). The racial makeup of the city was 94.80% White, 1.54% African American, 0.26% Native American, 1.56% Asian, 0.05% Pacific Islander, 0.38% from other races, and 1.40% from two or more races. Hispanic or Latino of any race were 1.30% of the population. There were 28,880 households out of which 20.4% had children under the age of 18 living with them, 39.9% were married couples living together, 7.5% had a female householder with no husband present, and 50.0% were non-families. 40.8% of all households were made up of individuals and 11.6% had someone living alone who was 65 years of age or older. The average household size was 2.06 and the average family size was 2.86. In the city, the population was spread out with 17.8% under the age of 18, 7.5% from 18 to 24, 38.8% from 25 to 44, 21.0% from 45 to 64, and 14.9% who were 65 years of age or older. The median age was 37 years. For every 100 females, there were 95.3 males. For every 100 females age 18 and over, there were 92.6 males. fThe median income for a household in the city was $52,252, and the median income for a family was $68,109. Males had a median income of $50,562 versus $36,392 for females. The per capita income for the city was $30,990. About 2.0% of families and 4.3% of the population were below the poverty line, including 3.4% of those under age 18 and 5.5% of those age 65 or over. We combine quality workmanship, superior knowledge and the only waterproofing company in Michigan with its own patent — to provide you with service unmatched by any of our competitors. We have the experience, personel and resources to make the project run smoothly. We can ensure a job is done on time. Everdry Waterproofing is the nation’s largest Basement waterproofing company. Everdry specializes in basement waterproofing, crawlspace waterproofing, foundation repair and basement ventilation. Our patented, safe and 100% effective waterproofing method can be used on foundations consisting of poured concrete, block, brick, stone, red clay tile plus crawlspaces and slabs. We have been in business for more than 35 years and have over 85,000 “RAVING FANS.” Everdry Michigan is proud to be a premier basement waterproofing and foundation repair company. Our services are permanent which is why we offer a Lifetime guarantee on most of our services. Everdry Michigan is an expert basement waterproofing company that can help you with basement leaks and flooding with our waterproofing services. We are happy to say we’ve helped many families repair their foundations and take back basements so they can enjoy their homes for a long time to come. Give us a call today so we can start helping you!